Does your work truck get the job done? If you have to make compromises or can’t quite carry the entire load you want during your workday in Athens, TX, you need to see our team at Palestine Chrysler Dodge Jeep Ram FIAT today. We have the Ram 2500 truck that can give you the increase in power you need to handle the entire load for you. Don’t let anyone fool you when you have a big job to do, a bigger truck is better for you to get things done. Let others have their efficiency and multiple trips to and from the job site. Our team can show you around the Ram 2500 and make it easy for you to see how you can get everything done in just one trip. Take a look at the selection of Ram 2500 models we offer in Palestine, TX and imagine hauling the load, pulling the trailer, or carrying the crew wherever you need to go. This truck can get everything done with the different features and qualities you want that we’ll be glad to show you so that you can get to work. We don’t think you should be uncomfortable or make compromises when you drive your truck and with the Ram 2500, you don’t have to. This is a big truck that has the power you need, but it also allows you to have the look and comfort you want. Step up inside and be comfortable when you sit in the seats, take a look at the connectivity features you can take advantage of, and look at all the room you have for the crew you need to take to the job site. Our team will take you for a test drive to show you all the different ways this truck can be comfortable when you drive from place to place. When you know you’re going to spend a lot of time in the Ram 2500, either between job sites or out on a road trip, you will want to choose the Limited Tungsten trim which is the newest in the luxury lineup for this truck. Check out the new 8.4-inch Uconnect infotainment system offered, backup with confidence as you make use of the rearview monitor, unload the cargo with the lighting you need from the LED lights in the bed with an in-bed switch, and take a look at the new Fleet Telematics Module if this truck is part of your fleet of workhorses on the road. We know you need a truck that can get the job done and that you want to get back to Athens, TX to get that work done. Make your way to our location in Palestine and we’ll get you behind the wheel of the Ram 2500 you want to drive right away. 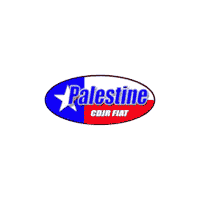 Our team at Palestine Chrysler Dodge Jeep Ram FIAT will be glad to see the huge smile on your face as you drive to the job site you need to be at to start putting this truck to work.